What is a Bar Crossing Report? 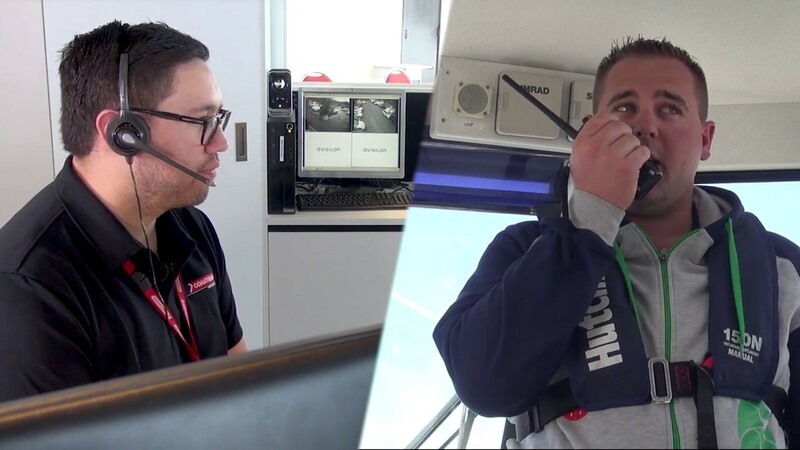 A Bar Crossing Report is logged with Coastguard Radio when a boat is crossing one of NZ's many challenging harbour or river bars. Unlike a Trip Report, a Bar Crossing Report must be closed once you have safely crossed the bar. When you make a Bar Crossing Report, you'll be put on a SAR (search-and-rescue) watch of anywhere between 10 and 30 minutes, depending which bar you're crossing. Remember you MUST close your Bar Crossing Report once you're safely over the bar. If we haven't heard from you by then, and if attempts to contact you or your shore contacts on known numbers fails, search and rescue procedures will be initiated. How do I log a Bar Crossing report with Coastguard Radio? To log a Bar Crossing Report, tune your marine radio to your local Coastguard Radio station or call us on *500 from your mobile. The Coastguard Radio team will put you on a SAR (search and rescue) watch of between 10 and 30 minutes, depending on which bar you're crossing. You MUST close your Bar Crossing Report when you're safely over, otherwise a search may be initiated for you. And don't forget to make a separate Bar Crossing Report for when you're headed back over the bar, at the end of your day. Can I log a Bar Crossing Report on the Coastguard app? Unfortunately you can't use the Coastguard app to log a Bar Crossing Report. Because bar crossings are dangerous, they're better planned in person. Contact Coastguard Radio on your local VHF channel, or phone us on *500 from your mobile. Crossing a bar can be a dangerous activity, but getting skilled up before you tackle a bar can make all the difference. Check out this page for tips and info on how to safely cross a harbour or river bar. Don't forget to check in with your local boating or fishing club for advice from those who have crossed a bar many times, and feel free to check out our regular Raising the Bar seminars for boaties - they're free and are led by experienced Coastguard rescue volunteers. Do I need a callsign or VHF certificate to log a Bar Crossing report? You sure do! If you’re using a VHF for anything but an emergency transmission you need your VHF Radio Operators Certificate, and since all radio transmissions have to be individually identifiable you also need a callsign. The VHF certificate is easy to do online or in the classroom, and you can get a callsign online in a couple of minutes. Remember that you MUST close the Bar Crossing Report as soon as you're safely over the bar. Don't forget to make another report when you're ready to come back over the bar.